Pecans are beneficial for lowering the levels of bad cholesterol in the body and therefore good for your heart. The antioxidants in this nut prevent plaque formation on the arteries, thus preventing hardening of the arteries. Oleic acid, which is a healthy fat found in olives and avocado, is found in this nut also. Consuming this nut supplies you with lots of energy as it is a rich source of Vitamin B3, which can fight fatigue and provide you energy. These nuts are good sources of Vitamin B6, which is needed for keeping the hormones in the body well balanced. They are also good for various problems related with periods. Two of the antioxidants, lutein and zeaxanthin, are found in pistachios. These are good for your eyes. These nuts are also rich sources of potassium and fiber. Walnuts are rich sources of antioxidants and excellent for fighting against cancer. 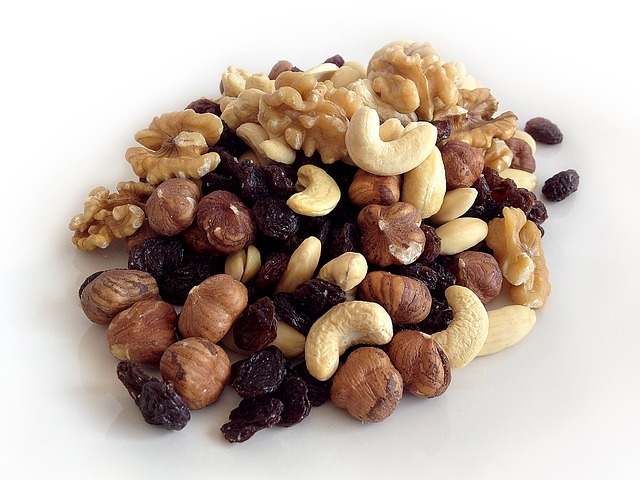 Monounsaturated fats, which are good for the heart, are also found in good amounts in this nut. Walnuts are also rich sources of omega 3 fatty acids, therefore a good alternative for fish. So vegetarians can consume walnuts and get omega 3 fatty acids. Bananas for Constipation – How Good Are They?